The High Court of Madhya Pradesh passed a significant order yesterday, upholding the power of scrutiny of Justice Jha Commission of Inquiry, granted to it by the Hon’ble Supreme Court of India in May, 2009 and further elaborated by the High Court in its order dated 18-07-2013. In their detailed order, Hon’ble Chief Justice A.M. Khanwilkar and Hon’ble Justice Sanjay Yadav directed that “Notably, the purpose of constituting the said Commission was to inquire into the irregularities committed in disbursal of compensation and including to ineligible persons. Scrutiny of that fact must proceed and cannot brook delay….The State Government is obliged to honour the direction given by the Supreme Court on 11.5.2009 regarding disbursement of compensation by way of cheques or cash after 24.4.2009 - subject to the scrutiny by Justice Jha Commission. That condition is inviolable”. The Bench further directed that all the payments made by the Govt. without Commission';s verification be now placed before Commission forverification within seven days, after which the Commission shall furnish the report within two weeks, for necessary orders in the present proceedings. The Order was passed on an application by the NBA, which challenged the action of the State Govt/ Narmada Valley Development Authority (NVDA) in not complying with the Orders of the Apex Court and the High Court, mandating pre-payment scrutiny of all forms of rehabilitation grants, under the pretext of another order passed by Hon’ble Supreme Court, limited only to 396 oustees. After exchange of detailed pleadings and hours of oral submissions, the Hon’ble Court upheld that the Order dated 11-05-2009 of the Apex Court mandating pre-scrutiny of all cash/cheque payments shall not be eclipsed by the subsequent specific order of the Apex Court, permitting cash payment only and only in cases of 396 oustees. Thus, the contentions of the State, based on misrepresentation of judicial orders was rejected. The Order shall have a significant effect on the working on the Commission which has to scrutinize all cases of cash disbursals, in order to ensure that the oustees, mostly non-literate, tribals, farmers and landless are not swindled by the corrupt nexus of officials and agents. Payments without scrutiny would have opened up a Pandora’s Box, which has been avoided by the High Court’s intervention. The purpose of scrutiny is to ensure that the oustees are not further betrayed and stripped of their lawful entitlements due to corruption. It is well-known that as per the High Court’s orders since 2008, the Commission has been investigating a massive corruption scam in the rehabilitation of oustees in M.;P., to a tune of 1000 crores – including almost 2,000 fake land registries, irregularities in civic amenities at 88 resettlement sites, fraud in house plot allotments, R&R grants to ineligible persons and betrayal of thousands landless persons, entitled to alternative livelihood. After issuing stern orders to the Chief Secretary, which has led to appointment of 3 senior full-time officials to assist the Commission in the last months of 2013, the Court took into consideration the undertaking given by Senior Counsel appearing for GoMP that henceforth all permissible cooperation would be extended to the Commission for its smooth functioning. The Court directed the state to meet all necessary infrastructure and financial requirement of the Commission within a period of seven days. Taking on record a detailed list of documents proposed by NBA, the Court directed NVDA to provide all documents required for the inquiry, after hearing of parties by the Commission. The case was pleaded extensively by Medha Patkar for NBA. Shri R.N. Singh, Senior Counsel with Adv. Arpan Pawar for GoMP and Shri Dharmendra Sharma, for Narmada Control Authority. The case has been listed on 20th January for further orders. New Delhi, January 7 : Maharashtra Chief Minister Shri Devendra Fadnavis has demanded that Maharashtra Industrial Development Act (MIDC) be exempted from the applications of the provisions of the the Right to Fair Compensation and Transparency in Land Acquisition, Rehabilitation and Resettlement (LAAR) Act, 2013 as reported in the newspapers today. The reasons cited are not only misleading but also far from the truth on many count. One of the key factors have been mentioned as the land required for the implementation of the Delhi Mumbai Industrial Corridor and that MIDC Act provides better compensation and R&R to farmers and PAPs and mostly through consent. 1. Compulsory Acquisition under MIDC Act : Section 32 of the MIDC Act mandates that whenever government needs land for furtherance of the objectives of this Act or for the purpose of development then a notification shall be issued and before that a show cause notice will be issued to the farmers, why their land should not be acquired. Does this sound like seeking consent ? It needs to be noticed that 9715 families of 69 villages in Maangaon, Roha and Tala Talukas have received notifications for acquisition of a total of 24,207 acres of land for Dighi Industrial Area as part of DMIC corridorunder MIDC Act. Armers have been protesting there and State government from time to time have been saying that they will exempt these villages from Dighi industrial area but no de-notification notice has been issued yet. 2. Compensation, R&R to Farmers and PAPs : MIDC Act has no provision for the R&R to PAPs and compensates only the land owners. MIDC refers to the definition of the land and affected persons in 1894 Act, which was very limited and didn';t include livelihood losers when land was acquired for the development projects. 3. Lack of Land for Projects : There is no shortage of available land in the State. Maharashtra government has no record of percentage land utilised and unutilised with MIDC, even though in the past fifty years it has acquired more than 13 lakh acres of land. The provision of MIDC Act is more draconian than Land Acquisition Act, 1894, which leaves little scope for the consent of the affected population. Maharashtra government by its own admission has a land bank of 80,000 Hectares with it. In Aurangabad and nearby areas there too a large chunk of land under the threat of acquisition for DMIC. However, in 2000 the Maharashtra Industrial Development Corporation (MIDC) had acquired 902 hectares of land, but to what purpose. Those affected by the ‘Jaikwadi'; dam as well as Paithan MIDC have neither been allotted land in the Command area nor have they received employment inspite of repeated assurances. Only 50% of the factories in the MIDC phase-I are operational and apparently they await for the right time to sell those lands for real estate. The government is keen on acquiring 10,000 hectares of land belonging to 24 villages to develop the Shendre – Bidkin Industrial Zone under MIDC. City and Industrial Development Corporation or CIDCO has already made plans to acquire 15,000 hectares of land belonging to 28 villages. 4. Farmers Suicide in Maharashtra : It would do good, if Mr. Fadnavis showed some concerns for the farmers in his home state. 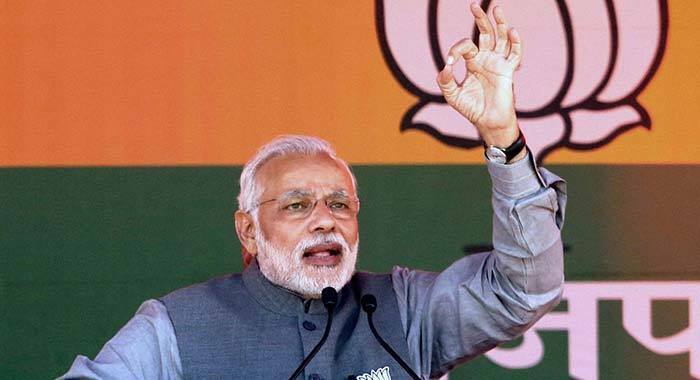 With a land bank of 80,000 Hectares, he is only feeding to the profit hungry Corporations but doing nothing for the farmers, and already Project Affected Persons due to various irrigation projects like Waang Marathwadi, Jaikwadi, or Lavasa Hill City project or other development projects and SEZs. It nees to be mentioned that at least 3,146 farmers committed suicide in Maharashtra in 2013 as per the National Crime Record Bureau. Since, 1995, nearly 60,750have committed suicide and on an average, 3,685 farmers in the state took their lives every year between 2004 to 2013.What has Mr. Fadnavis done for them ? False Claims of Employment Generation and Development : The claims of the development and employment generation are exposed not only for the Maharashtra government but for also the Union government, as pointed out in theCAG report on the performance of the SEZs. CAG has said that land grab was the only motive behind the SEZs development and Corporates were given favour in the name of development. Out of 45635.63 ha of land notified in the country for SEZ purposes, operations commenced in only 28488.49 ha (62.42 %) of land. In addition, we noted a trend wherein developers approached the government for allotment/purchase of vast areas of land in the name of SEZ. In terms of area of land, out of 39245.56 ha of land notified in the six States 3,5402.22ha (14%) of land was denotified and diverted for commercial purposes in several cases. Many tracts of these lands were acquired invoking the ‘public purpose’ clause. Thus land acquired was not serving the objectives of the SEZ Act. In four States (Andhra Pradesh, Karnataka, Maharashtra and West Bengal), 11 developers/units had raised 6309.53 crore of loan through mortgaging SEZ lands. Out of which, three developers/units had utilized the loan amount (2211.48 crore i.e. 35 per cent of 6309.53 crore) for the purposes other than the development of SEZ, as there was no economic activity in the SEZs concerned. CAG further notes that on various other counts SEZs failed to achieve their stated objectives. Of 152 SEZs analysed, there was a deficit of 65.95% to 96.58% in employment generation, for investment 23.98% to 74.92 %, for export 46.16 to 93.81%. The CAG report only confirms what we have been saying about the Union government continued push in facilitating land grab by the corporations for large scale profit and nothing else. As per the available data from the Union Budget, 5.32 Lakh Crore (roughly three times the supposed loss in 2G scam), of corporate tax was forgone. What is the Union government doing for the farmers ? They further added that the LARR 2013 was a progressive legislation which, without being against industries and projects, from public to private, gave farmers and land-losers a measure of control over their lives. It took cognizance of the fact that time has come to protect prime agricultural land and minimise displacement. The British legacy had to be left behind. The current Ordinance negates or dilutes what has been achieved by years of sustained efforts by people and initiative by pro-people politicians to get LARR 2013 enacted. We reiterate that the people';s movements would not allow this corporate design of the government to succeed and any bid to forcibly acquire land will face stiff resistance across the country. We will challenge every move of the government to hand over precious resources to the Corporate Houses in the name of “Make in India” initiative. This initiative is solely aimed at naked loot and promoting Crony Capitalism in the country. Our affiliate members in Madhya Pradesh, Maharashtra, Uttar Pradesh, Bihar, Jharkhand, Odisha and other states have already lodged their protest rejecting the ordinance. We will continue to expose the government and Corporate loot and mobilise all progressive forces along with the people';s movements during the Budget Session. New Delhi: The Central Information Commission (CIC) in its hearing on 7th January 2015, reserved its verdict on non-compliance by political parties with its earlier order (June 3rd, 2013) declaring the six National Parties as Public Authorities and bringing them under the purview of the Right to Information Act 2005. This was the second hearing of the Commission since the June 3rd order and yet again no party representative was present. The Commission had, in its order dated June 3rd, 2013, declared the six national political parties – BJP, INC, BSP, NCP, CPI and CPM – as public authorities and directed them to appoint Public Information Officers to attend to RTI queries. Political parties have been brazenly defying the CIC by not implementing the order. The Commission had issued a show cause notice (dated 21st November 2014) and an interim order (dated 28th November 2014) to the political parties, directing them to appear before the Commission. None of the political parties has appeared for any of the CIC hearings. Such open defiance in unison by all the national political parties, which are institutions of democracy, sends an ironic message to the public about transparency and Rule of Law. Refusing to comply with the RTI Act is also a violation of Fundamental Right to “Freedom of speech and expression” under Article 19(1)(a) of the Constitution of India. ADR’s Founder member and Trustee, Professor Jagdeep Chhokar, during the hearing, asserted that “such repeated flouting of the order passed by a statutory authority and a legislation passed by the Parliament, shows nothing short of disdain for democracy and for the Parliament itself. Such arrogant non-compliance of law shown by the national political parties deepens cynicism among citizens and is potentially catastrophic for the state of democracy”. The co-petitioners in the case Mr. Subhash Aggarwal and Association for Democratic Reforms (ADR) requested the Commission to take serious action against the six political parties by imposing penalties on them (under Section 18, Section 19 and Section 20 of the RTI Act) and enforce implementation of the June 3rd order of the CIC. ADR also sought exemplary compensation (under Section 19 of the RTI Act). SURABAYA, 8TH JANUARY 2015 – AirAsia Indonesia wishes to update on the latest developments on the search and evacuation process of QZ 8501, lead by The National Search and Rescue Agency (BASARNAS) Republic of Indonesia. BASARNAS said that the operation began at 7 am this morning and the sea divers have been observing the second focus area where the tail part was found yesterday, in order to find where the black box is located. However, due to swift underwater currents and limited visibility, the divers were only able to find more debris which is presumed to be the interior part of the aircraft and baggage compartment. The tail part will be the main focus of the SAR operation and BASARNAS said that once the black box is found, the SAR team plans to lift the tail piece out from the water with the permission from Indonesia’s National Transportation Safety Committee (KNKT). Meanwhile, BASARNAS today confirmed they recovered one more remain today from the search area. The remain has arrived at Juanda Airport, Surabaya this evening. Separately, the Disaster Victim Identification (DVI) Police Department of Republic of Indonesia (DVI POLRI) today announced that they were able to identify one more remain, identified as: Djoko Suseno (male). A 5.4-magnitude has hit the east of Taiwan, shaking buildings in the capital Taipei. No casualties or damage have been reported. The quake was 22 kilometers deep, and was felt across the island. A week ago, a 5.5-magnitude tremor shook the north of Taiwan, and in June, a 6.3-magnitude earthquake hit, killing four and triggering landslides. A quake measuring 6.8 in magnitude has hit the Pacific south of the city of David in Panama, according to the US Geological Survey. No immediate reports of damage or casualties have followed, and no tsunami warning has been issued. It follows a tremor of 5.5 in magnitude that struck off Panama’s Pacific coast on December 26. 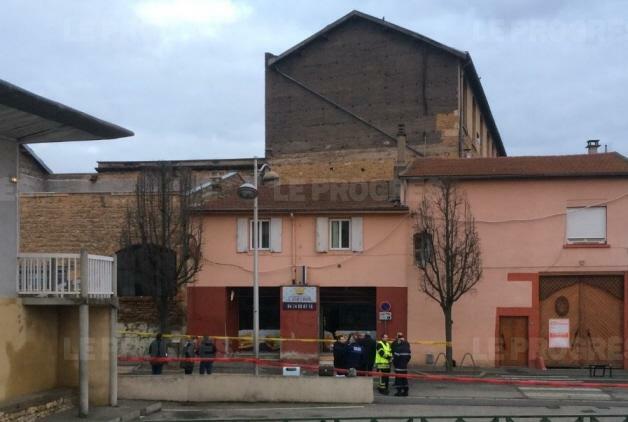 An explosion near a mosque in Villefranche-sur-Saone, eastern France. “I am afraid that is linked to the dramatic event that occurred on Wednesday,” the mayor of Villefranche Perrut Bernard, who was at the scene of the blast, told the French daily. The blast reportedly occurred around 6 am local time at the eating establishment L’ Imeprial, according to the local newspaper Le Progress. The window of a nearby fast food restaurant was shattered by the explosion Police have cordoned off the area, and firefighters were dispatched to the scene.A police officer has been shot dead and a city employee critically injured following the shooting on the outskirts of Paris, according to local media. The incident follows police raids after the attack on the satirical Charlie Hebdo newspaper in Paris. One man opened fire at two police officers, seriously injuring one, near La porte de Chatillon,Montrouge commune,south of Paris, police confirmed. Also a street sweeper has been critically wounded in the attack, reported AP. According to RTL, the shooter injured two police officers. The tail of crashed AirAsia flight QZ8501 has been found in the Java Sea, the head of Indonesia’s search and rescue has said. The tail is where the crucial black box voice and flight data recorders are located which would give investigators clues as to what caused the crash.The aircraft was en route from Surabaya, Indonesia to Singapore on 28 December with 162 people on board when it disappeared from radar. No survivors have been found. France’s Prime Minister Manuel Valls told RTL radio. Preventing another attack “is our main concern,” he added. “The three attackers have been identified as Said Kouachi, 34, Cherif Kouachi, 32, and Hamyd Mourad, 18, police said. The names and photos of the Kouachi brothers were later officially released by the authorities. The 18-year-old Mourad reportedly handed himself in at a police station in Charleville Mézières after seeing his name on the list of shooting suspects shared on social networks. He claimed he was at college at the time the massacre happened in the headquarters of the satirical newspaper Charlie Hebdo in central Paris, reported French iTele.